Is the US Planning a “Gulf of Tonkin” Incident in the South China Sea? Washington is not going to take no for an answer. In what is already an explosive situation, the question has to be asked: Is the US preparing a “Gulf of Tonkin” incident as the pretext for direct military action against Chinese facilities and armed forces in the South China Sea? Such reckless brinkmanship would risk war between two nuclear armed powers. The historic parallels are chilling. In 1964, President Lyndon B. Johnson needed a justification for decisions that had already been made to dramatically escalate US military involvement in a civil war in Vietnam and to begin bombing targets in North Vietnam. Pentagon planners had concluded that Washington’s widely reviled puppet regime in Saigon was incapable of defeating the North Vietnamese-backed National Liberation Front on its own. Preparations for massively expanding US involvement were drawn up well in advance. In the summer of 1964, the US worked with the South Vietnamese to stage a series of provocations—probes by US-supplied patrol boats to expose North Vietnamese radar systems. On August 2, the USS Maddox was monitoring one of these raids in the Gulf of Tonkin, part of the South China Sea, eight miles offshore and well within the North Vietnam’s 12-mile territorial waters, that provoked an exchange of fire with small North Vietnamese boats. The Gulf of Tonkin Resolution was passed by the US Congress on August 7, 1964, with just two votes against. It provided the quasi-legal cover for a criminal, open-ended war in Vietnam that claimed millions of lives, devastated the country’s economy and left a legacy of destruction that remains to this day. Far more is at stake today. For decades, the US showed little interest in the festering territorial disputes in the South China Sea between China and its South East Asian neighbours. In 2010, however, US Secretary of State Hillary Clinton, as part of the Obama administration’s “pivot to Asia” against China, declared that the US had “a national interest” in ensuring “freedom of navigation” in the strategic waters. From words, the US is turning to actions. As part of the “pivot” to Asia, the Pentagon is already engaged in a massive military build-up and strengthening of alliances and strategic partnerships throughout Asia directed against China. One of the latest warships, the USS Fort Worth, has just completed a week-long “freedom of navigation” patrol in the South China Sea designed to test and challenge China’s presence. While the USS Fort Worth remained outside China’s claimed territorial waters, US Defence Secretary Ashton Carter has called on the Pentagon to draw up plans for US warships and warplanes to enter the 12-mile limit and directly challenge Chinese sovereignty. Undoubtedly behind the scenes, far more detailed war plans have been drawn up. Significantly in the midst of a US Senate Foreign Relations Committee hearing last week entitled “Safeguarding American Interests in the East and South China Seas,” Assistant Defence Secretary David Shear blurted out that the US was preparing to base B1 bombers in northern Australia as part its military “rebalance” against China. Although later denied, nuclear-capable B-52 bombers are already rotating through Australia air bases. Layers of the US foreign policy establishment are already braying for more concerted US action in the South China Sea to teach China a lesson. In the course of last week’s Senate Foreign Relations Committee hearing, Chairman Bob Corker repeatedly expressed the review that the Obama administration was not doing enough. This logic is unquestioningly being applied more broadly. What is driving the provocative actions of US imperialism in Asia and around the world is the determination to use its still formidable military force to stem its historic decline. From Washington’s standpoint, the longer it waits, the greater the difficulty and dangers in subordinating Beijing to its interests. Thus the willingness to provoke a confrontation in the South China Sea as a test of strength, regardless of its potentially calamitous consequences. 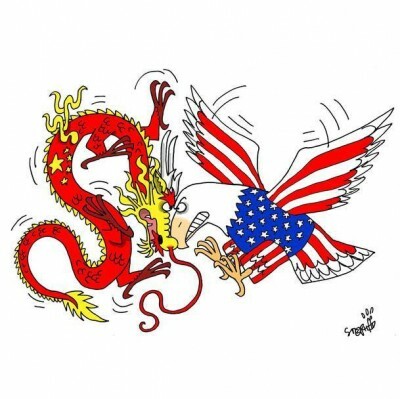 But in confronting China, Washington faces widespread anti-war opposition at home and around the world, born of two decades of continuous wars including the invasions of Afghanistan and Iraq. No one should be surprised by a new “Gulf of Tonkin incident” suddenly emerging in order to try to stampede public opinion behind US aggressive military operations against China.